November 2015 was especially busy for our CMS and design teams, with five website launches. The holiday season was kicked off with another cross-country list of clients who were able to showcase their brands for the 2016 visitor base. 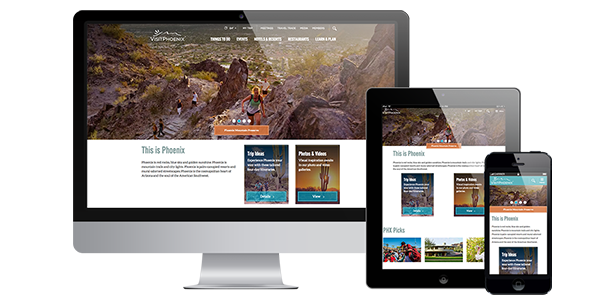 Simpleview is proud to have helped customize the responsive redesign for VisitPhoenix.com, the online home for one of the top ten largest cities in the United States. For the updated site, our team focused on building a new Events Calendar that is customized with more user friendly events labels and search options. The website design was built from as a Wordpress blog reskin, with a very cohesive layout of all the Simpleview CMS features and an animation that loads page content as you scroll down the page. 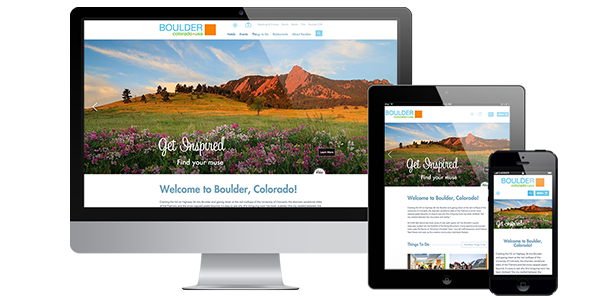 As one of Simpleview&apos;s oldest clients, we were excited to kick off the redesign for bouldercoloradousa.com. The new site was built with the new Simpleview CMS and was designed in house by Melissa Arrillaga. Boulder really wanted to focus on making content readily available without using a blog, but what is really fascinating is the "Take a Peek" header. This feature is entirely unique to Boulder&apos;s new website and elevates the idea of a traditional header slide show by allowing numerous pieces of the well-crafted site content to be highlighted. It is the perfect feature for a destination as eclectic as Boulder. 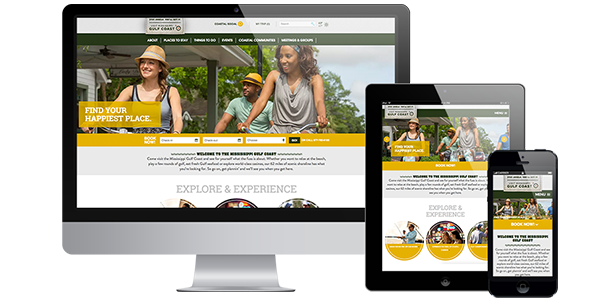 The new Mississippi Gulf Coast&apos;s website was built with the new Simpleview CMS and also incorporates elements responsive design. For this project&apos;s design, our team partnered up with the Philadelphia based agency Masterminds. This organization has recently spearheaded a rebranding initiative for the Mississippi Gulf Coast CVB. Their knowledge of the brand and Simpleviews experience with responsive web design made for a fantastic partnership. 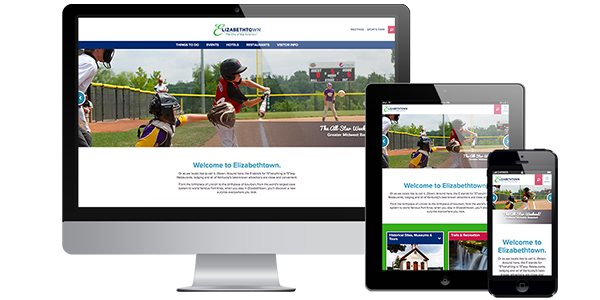 Also joining our team for November launches is the elegant Elizabethtown, KY. For the touretown.com project, Simpleview designer John Duncan focused on the importance of functionality, clean design, and a one-click user experience that is targeted for mobile traffic. The site was built for the new Simpleview CMS and is easy for travelers to use with its responsive design. E-town has lots to offer, and they draw a large portion of their visitor volume with a state-of-the-art Sports Park. The 2016 site design highlights this attraction in industry navigation, adding to the great user experience. Other design touches such as the map background and red-stitching on the homepage map are subtle hat-tips to this market driver. Our last mention of the month is for the popular East coast destination, Myrtle Beach. The design approach includes multiple layout options for the header slide images, with the ability to show a single image or up to five! The new site also includes a slide-up display of the Highlights widget that allows for an image to grab attention and then additional info pops up when highlighted by the cursor. 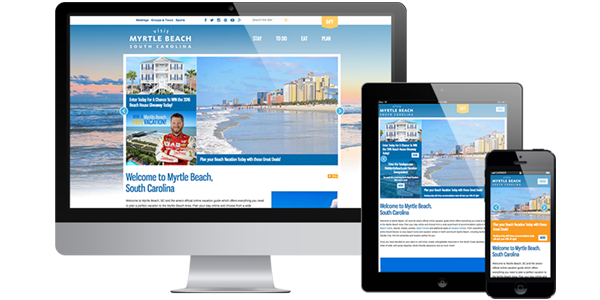 The modern VisitMyrtleBeach.com "From The Blog" widget allows the destination to showcase experiences through their blog posts.